The leaders have finished discussing their politics for the time being, opening the land’s metaphorical gates for many of their members to come and mingle. With the merge between The Ascendants and Sunhaven, the formation of Elysium was bound to be a hot topic. ah. first to be here. oh well. 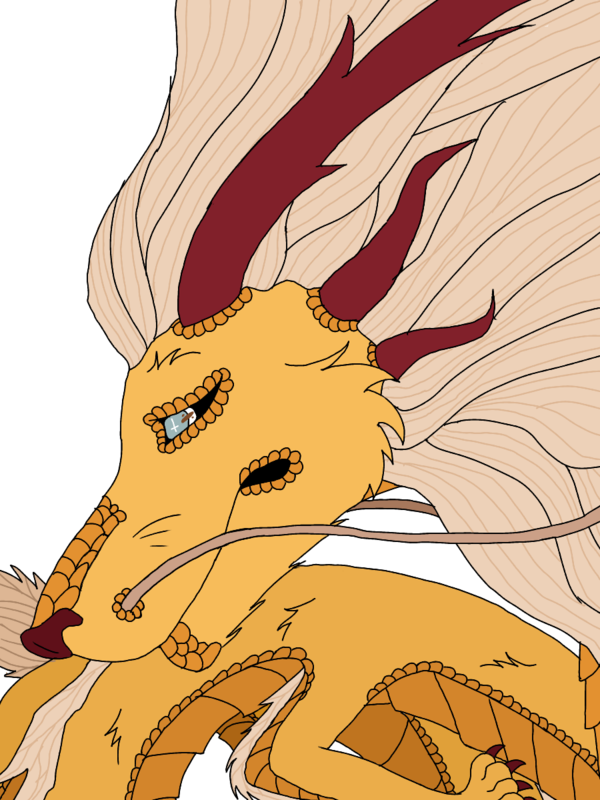 the golden oriental dragon, second vizier of the rosebloods, would be curled up in the sunlight, bathing in the warmth, scales glaring brilliantly in the sunlight. The lack of interaction with Snowbound was nothing new. After their demise with Caesar, which John Marston had heard too much about from rambling pacifists, they slinked off to the middle of nowhere. ​Thankfully though, they were on the rise once again. With that in mind, John figured he'd be the first one to slide into the mass meeting with hopes of meeting some others from the 'big five.' Perhaps it could drag his new settlement into the scene once again. Otherwise, he'd be a free-range rogue again and he didn't prefer that fate whatsoever these days. The timberwolf was second to wander in. Dark brown eyes captured themselves on Bai Shi's golden plated scales and marveled in it's beauty. Internally he wondered how much he could sell each scale for... That was another time though. "Why hello there," he rumbled in the direction of the stranger. "The name's John Marston." Here he went again with introductions. For once he was glad that his name wasn't known, otherwise it'd be like slipping poison into someone's drink. "You?" the serpent would look him over in greeting, judging hostilities. they blinked, gaze calculating as they took in the timberwolf male before them. they took in a deep breath and let it out, exhaling after taking in his scent from afar. "Bai Shi, Second Vizier of The Rosebloods." they responded easily, bright pale blue eyes stuck to his frame. "the pleasure is mine, John Marston. which group do you visit from?" their voice rumbled outwards in a calm melody, saying nothing of the storm that raged within the beast. Calmly pushing down their own thoughts and letting another deep breath roll through their body, they let themselves relax back into the sunlight, "any news from beyond the big fives' noses?" he didnt carry any discernable scent that they knew, but that was just them, they couldn't tell as they had never caught his group's scent before. She wasn't going to miss the mass gathering even if she had been far out of the group territories exploring again the draconic feline had flown two days straight to make sure she made this event. Better presence of her group? Was always a required thing. "I didn't see anything strange this time." Jiyu made the comment as her wings folded in to allow her to land beside Bai Shi tailing slowly lowering to the ground. The title 'vizier' was unfamiliar to the country man, but from how the golden dragon elegantly spoke and was decorated, it was obviously something higher up. That meant he had to remember that. John Marston just smirked. It was definitely a pleasure to meet Marston, along with Bai Shi. "Touché," he echoed back. "I come from the long forgotten Snowbound, but I have only joined them recently." Perhaps the Rosebloodian knew more than him on the topic. "Their numbers ain't that impressive." Nevertheless, it was not a problem. The less competition, the better. With the five gigantic clans breathing down the back of their counterpart's necks, they were bound to be a slow and unnoticeable uprising if they struck right. "Like I said though, I'm new. Not much I know about the place, but if there was any news, I would of boasted about it by now." A sharp snort left him. 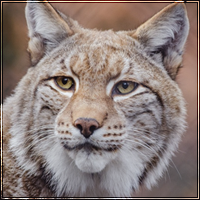 As the draconian feline flew in, the timberwolf's eyes searched them up and down in curiosity. They were an oddity to him. "Mmm, never seen one of ya out in the wild before... So I s'pose you're the strange one," he sarcastically swooned in the direction of Jiyu. "Your name, miss?" a short slip of contented noise would escape bai shi as jiyu landed beside them, casually smelling the other with a deep intake of breath, "better to not see any enemies on the horizon than to see a bloodied sky." they responded in greeting. relaxing again, they turned their attention back to john, "snowbound? last i heard of them, the pitt had burned their territory into ash?" they were not so well-versed when it came to the political state and history of some clans. "news is hard to come by these days, the carrion birds spread very little in their cries. the world is silent to listening ears, but perhaps, it just needs to shake the moss out from the rivers." something exciting would definitely make for good news and gossip, and they craved for something to dig their talons into. In reflex of the intake from Bai Shi her left wing opened against her own desire to remain frozen and lined up to hover an inch behind his back, almost like putting an arm over someone's shoulder only not touching, and of course she was smaller at a little over three feet tall. "Not forgotten. I remember them." of course, she was one of the older animals around to chances were she remembered just about anything. Often the calico didn't want to remember the things she knew. "I mutate easily, this state was caused by regrowing wings." Because it totally had not been caused by loving someone who seemed to be able to see right through her deceit, nope, never. What did she have to lie about anyways? She was just a stone protector, nothing more, she took orders and kept others safe. Never mind the fact she actually had a full fledged hobby of her own now that took her away for mindlessly circling the territory all the time. Jiyu hesitated on the introduction she didn't like those and if she got lucky Bai Shi would address her by name. "Jiyu, same group and rank as him." her wing momentarily gestured to the serpent next to her, laying herself down with crossed paws, massive tail wrapping around to lay atop them. "If you really think I'm that strange you can look closer if you want, this form is nothing special it's just a hybrid of my lost wingless feline form and my new dragon one." at least it was nothing special to the saber toothed female she was used to being mutated thus often failed to realize how many specialized mutations she really had at points. His attention shifted to Jiyu again. Another Rosebloodian? With the same rank? Perhaps he overestimated Bai Shi's status first time around, seeing that he had the fancy rank name and all. Marston's head craned off to the side with his dark gaze zoning in on the hybrid. "It's a pleasure to meet you," he enthused in reply. "Wouldn't of thought to have two of you." John offered a light shrug of his shoulders. A light hum left him as he decided on his next words. While Jiyu was an interesting creature, he found no interest in invading her personal space for his personal curiosities. Plus his original comment was a cocky joke. "I would rather not, miss Jiyu." That said, John Marston attempted to switch topics. There was no need to emphasize someone's look. "So," he moved along smoothly. "Tell me about the Rosebloods, eh?" Furrowed brows rose questionably. "You've got to be some interestin' folk over there." "interesting indeed." bai shi would respond in a drawing tone, head tipped to the side, studying him. puffing out a breath they yawned and stretched, giant talons digging into the ground as their body shuddered, bones cracking back into place and scales clattering together as they shook themselves out. "first being that we have two people holding the title of advisor to the head of our group. wolf pack dynamics would have us as betas." they chuckled, relaxing under jiyu's wing even if she wasnt so willing to extend her wing. "second is our home, in a desert, of course. but that's about all I can say about the territory. times of war are abound, after all." content was in their tone, their head tipped slightly. they lived for battle, it was their greatest joy to partake in, aside from organizing the raids and battles of course. Wouldn't have thought of having two? Jiyu was thankful she had a natural stoic expression due to being without actual emotion because it kept the pain tearing through her head from showing. Without consent, images of her brother and sister appeared behind her gaze alongside several other images of pairs or trios. Eventually she would have to devote time to figuring out what in the world was with the number two that gave her such head aches, tried to force back memories of animals she'd rather forget because they were long gone. "It provides a better balance than just one adviser." though sometimes decisions could be hard when the viziers were not of the same mind, but that was the way Jiyu liked things. In spite of her own violence, the calico was most content when everything from pacifists to mindless monsters shared the territory, the ranks, each other. Maybe she shouldn't have been here. Her eye was still healing, though it still ached, but nevertheless, she decided to come anyway. She wasn't one to follow rules or advice, anyways. Ymir looks over at those gathered, snorting at the sheer lack of people. This was supposed to be a mass meeting, so where was everyone? Probably sitting on their asses at home, she figures, taking a seat away from the three. She casts a glance around, an unimpressed look on her face as she waited for something to happen, or at least for others to show up. Maybe she'd come across a familiar face or two. "character's speech." the decision really truly wasnt hers to make. she had been to the meeting only on orders from the other members of her crew. she was looking for them, for Vincent and Ames, but she knew deep down inside that she would find nothing good there this night. But what she wasnt expecting to see was her one-night stand, lover? she was shocked to see ymir in attendance, thinking the wolf dead for her disappearance from sunhaven territory before sunhaven joined with the ascendants to form elysium. so of course, she was both in denial and hoping it really was the one and same woman whom haunted her dreams without mercy. the mercenary would quietly try to sniff the air before remembering her lack of ability to catch scent. frowning slightly she would sigh and slowly approaching from downwind so that the she-wolf could catch her scent. they had parted on less than ideal terms, and she wanted to fix that. "is that you, ymir?" her trademark rough voice would ring out, thick with uncertainty. While she had expected to recognize a face or two, she wasn't expecting that one of those faces would be one that had crept into her mind often, especially nights on where she felt lonely and nostalgic. She was hoping for a chance to make amends, and now that it was here, she wasn't quite sure what to say, despite the way she had rehearsed it over and over again in her head. But it had gone differently in her imagination. Ymir catches her scent before she sees her, a spike of dread driving into her stomach as she turns to face her. Whatever she had been hoping to say gets caught in her throat when she sees her, not a simple daydream, her tongue suddenly feeling like lead in her mouth. When she asks if it's her, she manages a nod, a somewhat shaky smirk unfolding on her face. "In the flesh." she says casually, as if they had never met each other before, much less slept together. She really shouldn't think about that now, but she can't think of much else when she's staring at her, still trying to scramble for something to say to somehow fix this. "character's speech." oh gods have mercy, it was ymir. staring at her former groupmate and one time lover, she licked her lips, unsure on how to approach this subject. this woman right here was worse than any curse, always on her mind, always in her dreams and making her heart skip a beat when she thought she saw her or caught her scent. 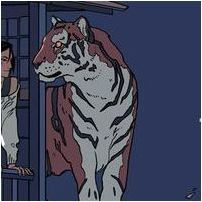 closing her eyes and rubbing at her nose, the tigress flicked her tail, trying to draw up some sort of courage that she was suddenly lacking in, to speak to ymir. she could practically taste the unease between them, the tension ready to split like thunder in the air. was she pretending that they hadn't been a thing? that there had been no sparks there that lonely night? body shuddering for a moment as old wounds began to act up, she set an easy grin on her visage, she could play along even if this game of pretend would haunt her in the end. "nice to see you again. how are things?" she asked, shaking out her pelt as she relaxed, avoiding agitating her burn marks. "everything's quiet in elysium, no more wars or surprise attacks from the pitt. oh, that looks like it had to hurt, is it alright?" she motioned to the others missing eye.